“Rudolf Serkin joined the international elite while still a teenager and by incessant, tireless practice held ranking for more than half a century as an artist of the highest type. He was an eminent 20th-century representative of a Viennese tradition that mingled the classical and romantic styles of pianism. 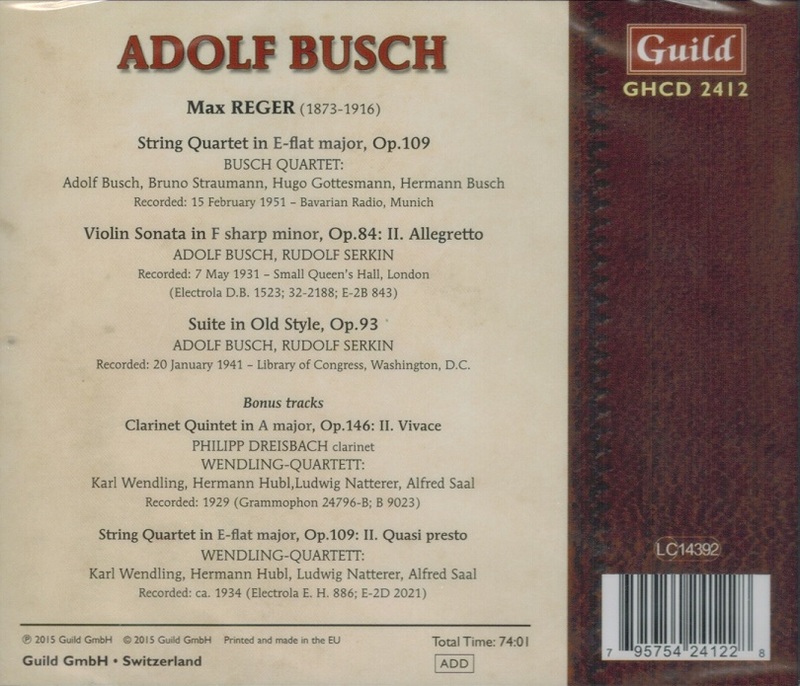 Among the dozens of recordings he made, those in which he teamed as a chamber-music partner with Adolf Busch, the German violinist, are especially prized by collectors. 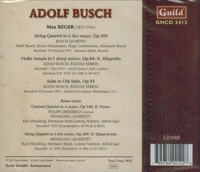 It was Mr. Busch who promoted the young pianist's European career, presenting him as a soloist in Bach's Brandenburg Concerto #5 at Mr. Serkin's Berlin début in 1921. 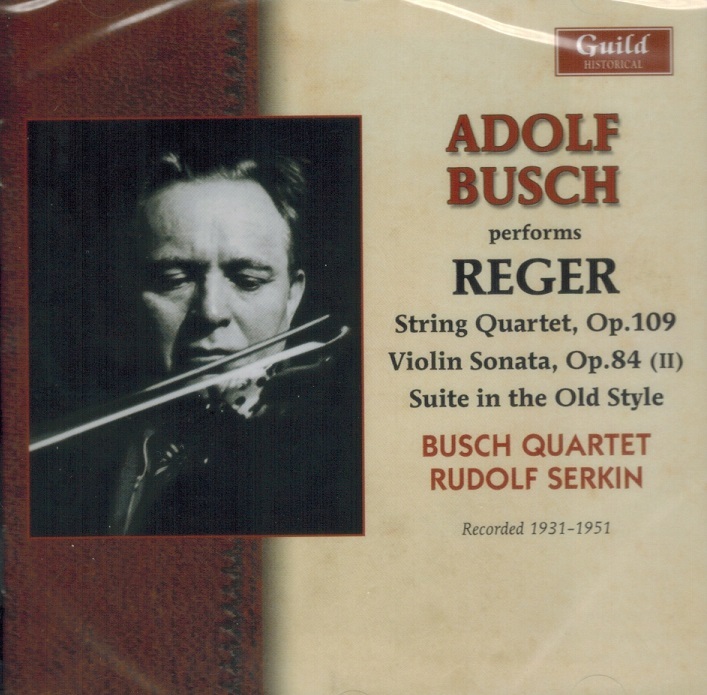 Mr. Serkin regarded Busch as one of the three musicians who most deeply influenced him. The others were his onetime composition teacher, Arnold Schönberg, and the conductor Arturo Toscanini. Mr. Serkin studied composition, first with Joseph Marx and later with Schönberg, and published a string quartet. He made his concert début with the Vienna Symphony at 12, playing the Mendelssohn g minor Concerto. At 17, Mr. Serkin met Busch, who was looking for a pianist to accompany him in a concert. They struck up a friendship and Busch took the younger musician along with him to Berlin on tour. Busch was then 30 years old and internationally established as a violinist. Soon Mr. Serkin was appearing in the great cities of Europe both as accompanist and as chamber-music performer with the Busch Chamber Players. In April 1933, with the Nazis in the ascendancy in Germany, Busch stirred a controversy by refusing to appear at a Brahms centennial celebration in Hamburg. Although not Jewish himself, he was offended because a young Jewish pianist had been denied permission to play. The pianist was Rudolf Serkin. Mr. Serkin had moved with the Busch family to Darmstadt in 1922. In 1927 they all left Germany and settled near Basel, Switzerland. After Hitler's rise to power, they applied for Swiss citizenship, which they held until all became American citizens in 1950. Mr. Serkin first played in the United States in 1933 with Busch at a Coolidge Festival concert in the Library of Congress in Washington. He did not perform here again until his formal début in New York on 20 Feb., 1936, when he appeared as soloist with the New York Philharmonic under Toscanini. His recital début came on 11 Jan., 1937, at Carnegie Hall. The next year Mr. Serkin and Busch performed the complete cycle of Beethoven sonatas at Town Hall. In 1939, Mr. Serkin joined the piano faculty of the Curtis Institute in Philadelphia, where he taught for 36 years. From 1968 to 1975, he was director of the institute. Great though Mr. Serkin's success was as a concert pianist, perhaps his most lasting impact on musical life was as a teacher and inspirational force. In 1949, he helped found the Marlboro Festival in Vermont. Living in the same area at the time were Adolf and Herman Busch, Blanche Honegger Moyse, Louis Moyse and Marcel Moyse, all renowned musicians who had also left Europe. They merged their talents and quickly turned Marlboro into an American chamber-music mecca and a magnet for talent. The word ‘Marlboro’ came to stand for musicianship of a special, ardent type. Each summer, Mr. Serkin and his circle were joined by like-minded artists, including Pablo Casals, Alexander Schneider, Felix Galimir, Mieczyslaw Horszowski, Jaime and Ruth Laredo, Eugene Istomin, Pina Carmirelli and Peter Serkin (Mr. Serkin's son, himself a world-class pianist). At Marlboro, Mr. Serkin made a point of being a musician among colleagues, as ready to turn pages for other players as to perform. Friends of Mr. Serkin -- and he seemed to have no enemies -- spoke with incredulity of his unfailing good humor, his shy and sweet-tempered manner with everyone, the unknown as well as the famous. A longtime colleague, after giving the phenomenon some thought, remarked: 'It's impossible to talk about anybody's being saintly in this age, but Serkin is'."